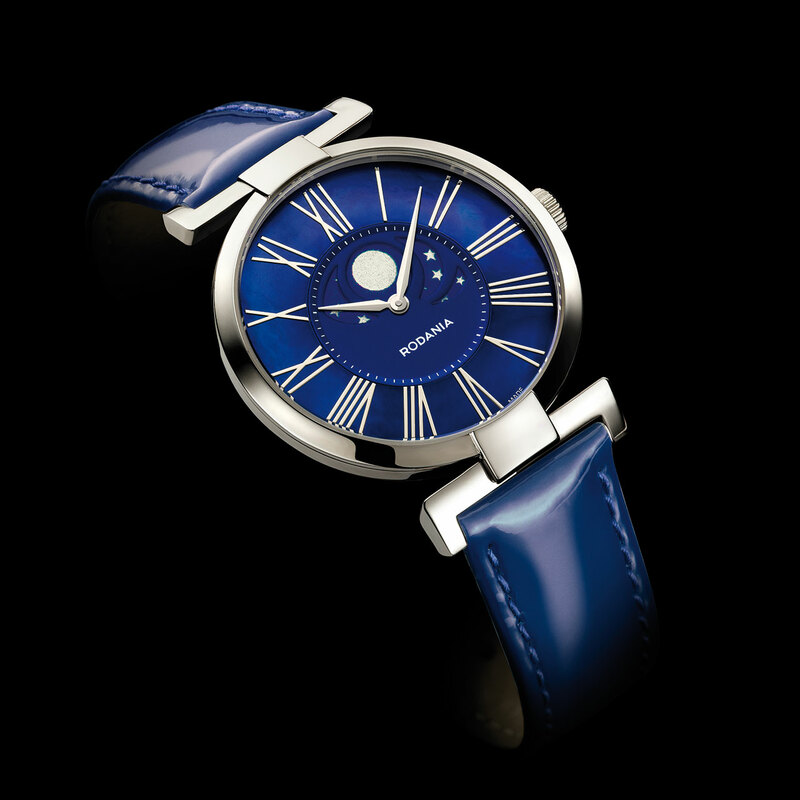 With its new Tyara Moon watch, Rodania offers its very personal portrayal of time imbued with a blend of poetry and elegance. A starry sky stands out against the mother-of-pearl dial, further graced by generous Roman numerals. The pure lines of this watch embody a subtle harmony between the classicism of traditional watchmaking and a more contemporary touch with a fashion twist. This charming and seductive model will become the faithful companion of refined women looking for the perfect balance between modern living and eternal dreams.